If you're interested in airplanes and wish you knew more about aerodynamics — or air traffic control, space policy, satellite engineering or airline management — you can study all of those topics and more, for free, at the Massachusetts Institute of Technology, via their OpenCourseware website. Each course features a syllabus, readings, video lectures and projects that you can complete at your own pace. Vilma Hofer was the first woman pilot licensed to fly solo in Czechoslovakia more than 70 years ago, and her love of flying has never wavered. Thanks to a Kennesaw, Ga., company in the business of making dreams come true, she was able to take to the air again at age 97, flying over the skies of Cobb County in a vintage open-cockpit bi-plane built in 1940. Several World War II-era planes could be seen landing at the Oskaloosa Municipal Airport in Iowa. The hum of their engines and brilliant flashing colors brought a past era to life. In an email to the Herald before the flight, Stephen Black, president of Friends of Naval Air Station Ottumwa, explained. According to the American Diabetes Association 23.6 million children and adults in the United States have diabetes. 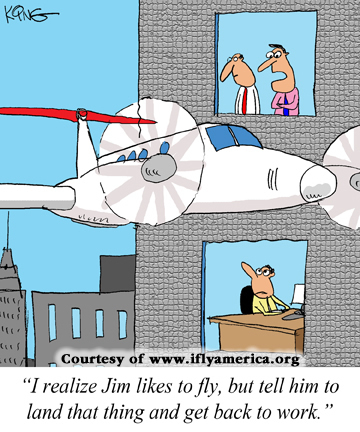 Many myths about the condition persist, one being that people with the condition cannot get a pilot's license. That myth might keep many people who love flying from even trying for a medical certificate or those with a pilot certificate to not go for the next flight physical. Let's set it straight: the Federal Aviation Administration has established a policy that permits the special issuance medical certification of insulin-treated applicants for third-class medical certification. NASA drop-tested a surplus Marine Corps CH-46 helicopter with the goal of gleaning new data on rotorcraft crashworthiness and seat belt design. The hulk was rigged with 40 cameras, numerous sensors and 13 crash dummies. The test is part of NASA's Rotary Wing Project, and the study promises to shed more light on occupant survivability. Steven French was arrested for shining a laser in the direction of a Lexington Police helicopter. Sgt. Scott May was in the cockpit at the time and was shocked to hear that what he thought was just a laser pointer was actually attached to a loaded 9mm pistol. "When you combine the two elements of laser and gun, it's quite alarming to us," said May. Each September, tens of thousands of spectators flock to Nevada to watch precision pilots chase one another around pylons rising 50 feet off the desert floor. Matt Burrows made his first pilgrimage there to watch in 1978, the same year he got his own pilot's license. "The weather was so bad that I didn't go back until 2007," he said. By then, Burrows was an accomplished airplane mechanic and aerobat, and could imagine himself jockeying for position while negotiating hairpin turns. Tech. Sgt. Mark A. Smith had flying in his blood. Born into a family of men who loved planes, Smith knew as a child that's where his future lay. By the age of 14 he was landing a biplane, and after graduating high school in 2000 he enlisted in the U.S. Air Force. Greg Smith said his brother had a passion for anything aviation-related, but the greatest love in his life was his family. A five-year-old Chinese boy has become the youngest person ever to fly a light airplane single-handed, covering a distance of 30 km, it has been claimed. The boy nicknamed Duoduo, flew a total 47 minutes in two flights around the Beijing Wildlife Zoo in Gu'an county, according to his father, He Liesheng. The Morehead-Rowan county, Ky., Clyde A. Thomas Airport will host its second annual air show. Last year's show proved a huge success, with more than 2,500 turning out for the event. The schedule for this year's air show is similar to that of last year's, said Mike Gray, airport board chairman. The circus had a two-day run in Clinton, Iowa, but this spectacle did not have a ringleader or trapeze artists. Inspired by the flying circus of the 1930s, three vintage biplanes from the American Barnstorming Tour arrived at the Clinton Municipal Airport for an extravaganza that offered rides to any and all willing passengers. "Anyone from ages 4 to 104," 1929 Travel Air 4000 Pilot Clay Adams said. Air Force veteran Robert Williams made a point of stopping at Akron-Canton Airport in Ohio on his trip from Houston to New York one steamy day. He wasn't flying. He was driving. He went out of his way to see the Military Aviation Preservation Society Air Museum, known to locals as "MAPS." It's nestled behind a line of trees, atop a hill on the far side of the airport, and consists of an old hangar, a multibay garage and small outbuildings.